The cover on the left is the one for the book I read for the Cybils. I must admit I was not immediately attracted by the sepia tones, but there was something haunting about the young girl's eyes. I could also immediately glean from her clothing that this would be a story set in the early 20th century. I didn't immediately think "Africa," because I only scanned the animals on the cover, and thought they were deer, rather than springbok. I saw the cover on the right when I googled the cover images, and I immediately thought "British." Further investigation shows me that I'm probably right--the image comes from a British woman's book review blog. I'm not sure why I thought it was from my country of origin. Is it the italic typeface for the title? You're left in no doubt this is set in Africa, with the big old obvious giraffe. But you would not immediately suspect the era is 1901--the girl's look and clothing is much more contemporary. This sort of sleight of hand can sometimes be annoying. I remember thinking that the cover of Phoebe Snow's The Romeo and Juliet Code (which if you haven't yet read, you must) would be more contemporary, although it's set in the early 1940s. My guess is that young people would be more likely to choose to read this book based on the greater vibrancy and more contemporary feel of the second (British) cover. What do you guys think? If you have a youngster available, why don't you conduct an experiment and let me know their opinion? My mother once told me of a dream she had as a young girl, in the days before the English came. She had dreamed of a child, a boy, with ruddy cheeks and blue eyes like my father's, and a gurgling laugh that could make even Oom Jakob smile. 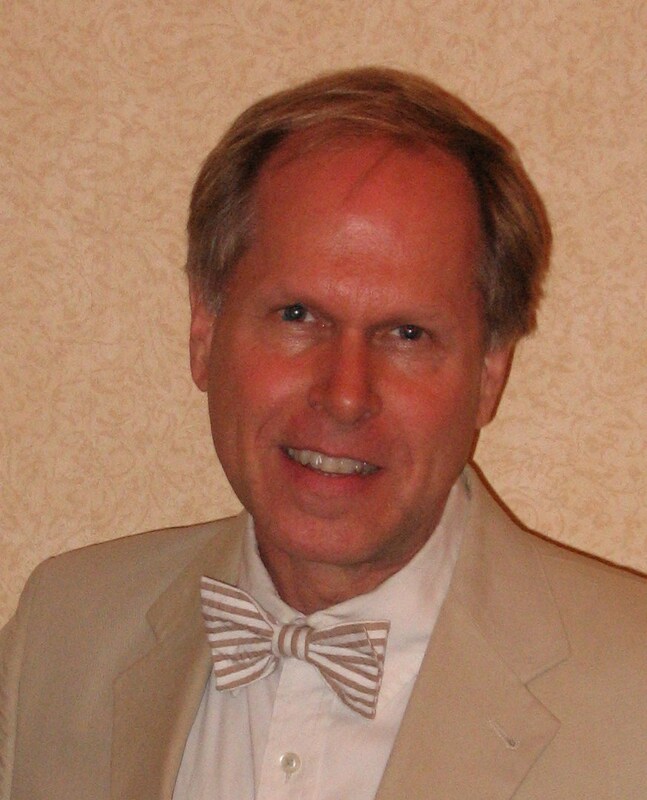 The narrator is Corlie Roux. Her beloved father is dead, and her mother dotes on Corlie's younger brothers while treating Corlie with cruelty. The family lives on a farm in the Transvaal, but their way of life crashes down around them with the British scorched earth policy. They have to flee their home, are captured, and placed in a concentration camp, where illness and death abound. A terrible secret is revealed, with devastating effect for Corlie. As it says on the dust jacket, "Will Corlie's resilience and devotion to her country sustain her through the suffering and squalor she finds in the camp at Kronstad? 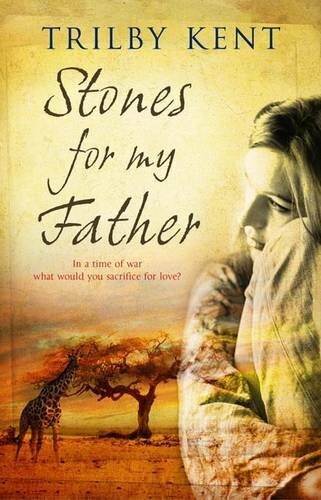 That may depend on a soldier from faraway Canada, and on inner resources Corlie never dreamed she had..."
Why I liked it : Stones for my Father is a compelling tale with high stakes for its resilient heroine. The land of the Transvaal is beautifully described. In fact, the language of this novel is dazzling throughout. 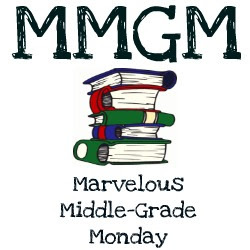 This would be a great story for the upper middle grader, and has crossover appeal with the boys. Even though Corlie the narrator is a girl, there is plenty of military action. Guns are fired! Pair this with Michaela MacColl's Promise the Night, and you have a unit of African historical fiction to study! 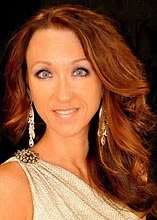 About the author: Trilby Kent is a Canadian who lives in London, England. You can find out more about her on the website Red Room. This is one of the many books I read for the Cybils awards, and one I enjoyed very much. Fact: One week ago two hundred and eight dollars disappeared from the pocket of Evan Treski's shorts. Fact: Evan and Jessie had worked extremely hard over the summer to earn that money--mixing lemonade, hauling it all over town, standing in the hot summer sun for every nickel of business. Fact: Scott Spencer just bought something very, very expensive. Accusation: Scott Spencer stands accused of the crime of stealing the lemonade money. Class 4-O hereby calls him to stand trial before a judge, witnesses, and a jury of his peers. Will the truth come out in court? And if it does, will justice prevail? The Lemonade Crime is a sequel to The Lemonade War, but you can enjoy it as a stand-alone. This is classic middle grade, as far as I'm concerned. Evan and his younger and precocious sister Jessie (they are in the same 4th grade class because Jessie skipped a grade), are strong characters who are hugely motivated to solve this mystery. Each chapter begins with a legal term and explanation (e.g. "Accused: a person who has been charged with a crime or who is on trial for a crime), and Jessie transforms herself into a believable prosecutor. The plot moves swiftly and, although the guilty party is never really in doubt, what keeps one's interest is what is going to become of him. I think this short novel would really appeal to the classic middle grade age group of 3rd through 5th grade. If you want to study how to write third person with dual point of views (Evan and Jessie's), this would be a very good novel to study. Congrats, Sheri! I'll be shooting you an e-mail, so I can send your mailing address on to Chronicle Books. Fasten your seatbelts, folks! I’m about to rave. But I digress, as usual. Today is the start of Michaela MacColl’s blog tour for Promise the Night (Chronicle Books, 2011) and I really have only one thing to say: PROMISE THE NIGHT is BRILLIANT!!! Ouch, your ears are probably still ringing, but I mean what I say. A number of you kind readers love historical fiction, and you won’t be disappointed by this one. Set in East Africa in the early years of the 20 century, Promise the Night tells the story of Beryl Clutterbuck, who later became the famous aviatrix, Beryl Markham. Abandoned by her mother at a young age, Beryl lives with her father in the Kenyan hills. Captain Clutterbuck is an ex-military man and a horse trainer, but he can’t tame his incredibly adventurous daughter. There is adventure and danger galore, mostly involving animals. The novel begins with a leopard attack, in which Beryl’s beloved dog, Buller, is snatched by the big cat. Beryl tracks the animal, with the help of a Nandi boy, Kibii—and the two of them find the mauled dog. With the help of Kibii’s father, Arap Maina, Buller is nursed back to health--and thus begins Beryl’s life as an honorary member of the Nandi tribe. She breaks taboos, by going on a lion hunt. She rides her father’s wildest stallion. She survives a knife fight with a rival Nandi boy. And of course there’s also the mauling by Paddy, the “tame” lion. Beryl eventually gets sent to a school in Nairobi, but her adventures don’t end there. She sets up a steeplechase course in the classroom, and chafes at so many rules that she eventually gets expelled. The novel has wonderful descriptions of Africa, and a fabulous arc. It begins at night with the leopard attack, and ends at night with a promise of lasting friendship. Interspersed with the narrative are journal entries by the older Beryl, preparing for her transatlantic flight. They flow seamlessly. Promise the Night has great crossover appeal, by which I mean that even with a female main character, I can see boys loving it. Shake a spear, lads. 1. East Africa is such a strong character in your novel, yet I've read that you've never been there. What sort of research did you do to make the setting so alive? I wish I could have visited East Africa! But I did a lot of virtual traveling online and had the advantage of some beautiful photographic books of the area where Beryl grew up. And of course I had the benefit of some amazing writers who lived there at the time Promise the Night is set. Isak Dinesen’s prose is as good as a photograph and Elspeth Huxley’s Flame Trees of Thika describes the rough landscape through the eyes of British child – invaluable. 2. I'll have to watch Out of Africa again! Now, I think the character of Beryl is remarkable. She strives to be a murani (Swahili for warrior) in everything she does. In fact, she is in so many scrapes--mauled by a supposedly tame lion, in a knife fight with a Nandi boy--that it's amazing she survives. Yet, creating such a headstrong character (even a character based on a real-life person) can be tricky. What advice did Patricia Reilly Giff give you to help Beryl "stay true to herself without becoming a brat"? Pat Giff’s instincts about “brattishness” (not really a word, but it should be!) are perfect. At first she alerted me to the problem and whenever I strayed, she reined me back in! I think the essential thing to remember is that no matter how much trouble Beryl gets into, no matter how many buttons she pushes – she is essentially likable. Throughout her life she had the knack of making friends and keeping them. Kibii remains her friend well into their middle-age. Of course, she also made enemies! 3. Yes, she probably was a bit polarizing--but it did seem she was very loyal to her friends... Another character I love is Arap Maina, the head man of the Nandi village. He recognizes the warrior spirit in Beryl, and takes some personal risk going against the wishes of the tribe in allowing Beryl to go on a lion hunt. How much did you know about the real Arap Maina, and how much did you create from imagination? The only information we have about Arap Maina comes from Beryl Markham’s memoir, West with the Night. He was clearly one of the two most important adults in her life (her father is the other one). His teaching is gentle but uncompromising and her grief at his premature death in World War I is genuine. When I found that I needed more insight into how a Nandi warrior would think and teach, I found modern memoirs written by Nandi were very useful. 4. Promise the Night is a remarkable book, and I'm eager to read more of your writing. What are you working on now, if it isn't a state secret? If it’s a state secret, then I should be run out of the state! I love talking about my newest project. Chronicle and I are working on a mystery series starring young writers. The first one is about Emily Dickinson solving the murder of Mr. Nobody! It’s due out in April 2013, just in time for National Poetry Month. 5. Here at Middle Grade Mafioso we always "grill" our guests about their favorite breakfast foods. After all, the key to a great middle grade day is a good breakfast. Previous interviewees have praised the breakfast benefits of chocolate chip cookies (C. Alexander London) and cereal (Chris Rylander). What is your breakfast of choice to start a writing day? Yum! Sounds as if you're set for the day!! Thanks for answering my questions--I really loved your novel. The Middle Grade Mafioso has an agent. You heard that right. On January 9th, Stephen Fraser of the Jennifer DeChiara Literary Agency offered to represent me and my middle grade time travel novel, Shakespeare on the Lam. We had a tremendous conversation, in which he said wonderful things about the novel and asked me about my writing goals. The Don's cry of Mamma Mia! is still ringing in my ears. He's even talking about awarding me the Order of the Eggplant, and giving me a year's supply of panettone. It all seems a little unreal. I want to thank you all for your support on this journey. You have read, commented, and cheered me on. I am so grateful for your friendship.